As you read this article, bear in mind this comes from someone who’s generally rooted Nook hardware to run the Kindle app. I most recently rooted the Nook Simple Touch (NST). My only complaint was that the Kindle app on the rooted NST rendered font too thin for my taste. The Kindle app on T68 experience isn’t as “perfect” or refined as on the Paperwhite2, but it’s not bad if you can ignore some minor artifacts in between page turns… the rendered page/text looks fine. My T68 (ordered from Arta-Tech/onyx-boox.com in Poland last weekend) arrived today. By the way, my experience with Arta-Tech was stellar — they shipped promptly, responded to an email inquiry within minutes and generally provided an excellent purchase experience. Note that Amazon US is now carrying the T68, as well. Oyster book app: Works pretty well and the rendered page looks great. There is a slight flash during page turns where the new page appears briefly, shows a blank page, then displays the new page (again). It’s pretty quick and I can live with it. Scribd app: Has the same brief text overlap flash when turning pages (as I’ve been seeing with Kindle apps on the T68) but otherwise rendered text similar to the Oyster Book app. Kindle app: I first installed the Kindle app from Google play store. I don’t know if it’s my huge library (I pick up alot of free books) or the size of my audible library, but the newest kindle app wasn’t very well-behaved (for me). I did a google search and found (then installed) Kindle app 4.2.0.101 and it’s working great. Font rendering isn’t quite as dark as the Paperwhite2 but much better than the Kindle app on a rooted Nook Simple Touch. Case: The port cutouts don’t match the T68, but I have an old Kindle Fire (edited to correct: I believe it’s actually Kindle HD 7″) case that fits the T68 well. I wouldn’t mind getting a case specifically made for the T68 but this will protect it in my handbag until then. Caution: I’m finding that the Kindle app works best when I only have a few (2 or 3 400 page) books downloaded to the T68. For me, that’s not a big deal since this device offers me the flexibility I’ve wanted ever since subscribing to the Scribd and Oyster Books monthly services. If you’d like to see the T68 in action, there are several youtube videos posted. Some are foreign language, but the hardware (and third party app behavior, like Kindle) is demoed. I found these videos helpful as I contemplated buying the T68. Recently, Dyson issued a recall for its AM04 and AM05 model Hot & Cool fans. These are expensive (approximately $400) but offer bladeless air movement and as such are generally safer for curious pets and small children. I’ve used Dyson fans for about 3 years: My first Dyson purchase was the tower fan (AM02). 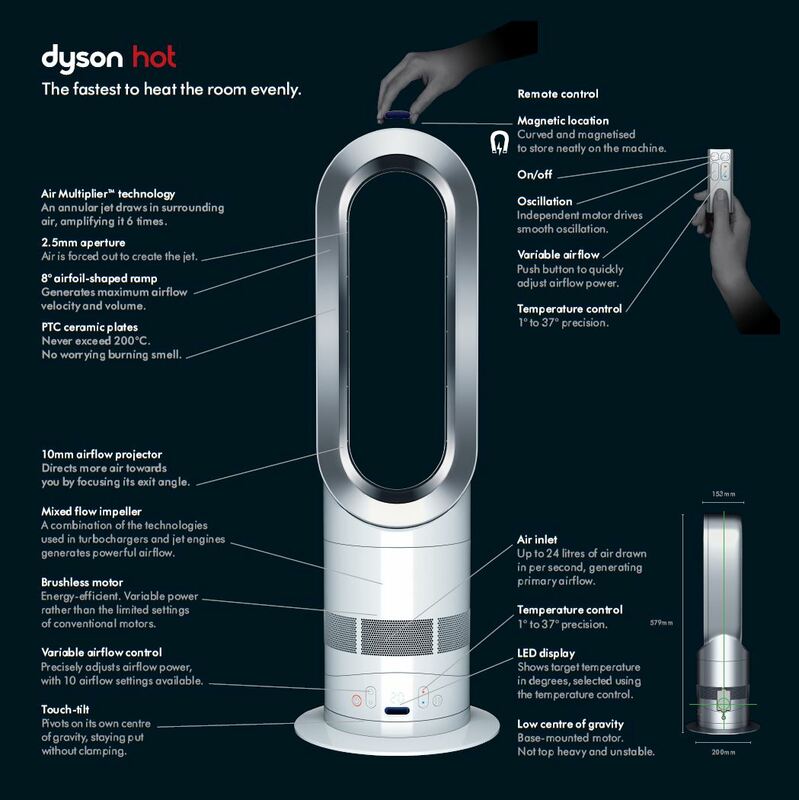 A few months ago, I received email notification from Dyson that their Hot & Cool fans were under safety recall. The email asked me to submit my product registration number at their web site, and upon confirming that my product (1st generation Hot & Cool fan, AM04) was indeed being recalled, instructions for taking the fan to UPS to be packaged and reshipped to Dyson. I didn’t have to do anything special, just take the fan itself to UPS and they did all the work for me. UPS gave me a receipt to prove I’d shipped the fan back to Dyson. Yesterday, I came home to find a Dyson Hot & Cool fan on my front porch, the result of my recall return. Upon inspection, I realized it was brand new and was the newer model (AM05) rather than the AM04 that I’d sent back. With summer starting this weekend, I was very happy to have my Hot & Cool fan back since I use it year-round in the living room. So, what do I think about Dyson post-recall? I am impressed by how Dyson stood behind their products, made the product return process hassle-free, and not only returned the replacement quickly, sent an upgraded model (since my AM04 apparently couldn’t be repaired). I don’t perceive safety recalls as a flaw in manufacturing per se — sometimes hardware/software bugs aren’t apparently immediately post-production. I’m very pleased that Dyson seemed to take action promptly upon identifying the problem, rather than dragging their feet (or even trying to hide the problem) like some companies. Kudos, Dyson! Your products are expensive but work very well and I appreciate your product support: Consider me a satisfied (and now even more loyal) customer.